Finished in Metallic White Duco / Navy Blue Leather Trim. Combining Elegance and Power, this high level Coupe has amazing presence on the Boulevard and super performance on the Highway. Its an absolute appreciating asset and only 600 units where built worldwide. 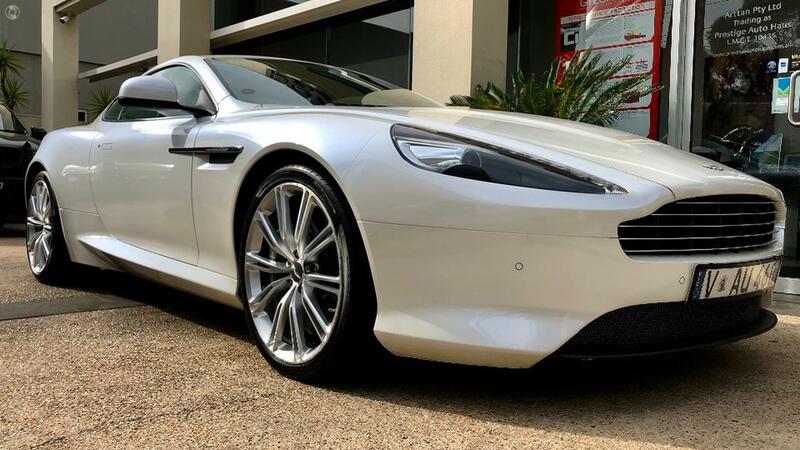 not to miss your chance of owning this limited production Hand Build Aston Martin which was privately Imported from U.K in 2017 please give us a call to make your dreams come true. Immaculate showroom condition! To arrange your Personal Appointment to Inspect and Test Drive, call us at Prestige Auto to arrange a convenient time.